Niniane Wang's secret social project at Google might do to MySpace what Gmail did to Hotmail, with virtual GoogleWorlds that combine the best things of social sites like MySpace and virtual worlds like Second Life. This isn't a new idea, people considered the possibility soon after Google Earth was launched, but last week a PhD grapevine rumour and Google's possible purchase of an in-game advertising company have renewed speculation. How does Niniane fit into this? Ever since I read about Googler Niniane Wang's top secret social application space project for Google I've wondered what it could be. Google already has Orkut -- and it's not been a resounding success, but it seems unlikely that a new Orkut style project could be regarded as 'the best project at Google'. Plus Niniane's background is in Windows programming, specifically real-world simulators. Her project has a c++ client and a Java server (like Google Earth). Before working at Google she was a team leader on Microsoft's Flight Simulator, and has submitted papers to SIGGRAPH for virtual world innovations like dynamic weather generation. At Google she won a founder's award for her work on the Windows application project Google Desktop. Who better to conceive of and head up Google Virtual Worlds? Sketchup. People complain endlessly of the difficulty of using Second Life's in-game modelling tools. Sketchup is awesome and will let people construct all kinds of in game homes and artifacts quickly, easily, and for free. Google Earth. Google already has an increasingly detailed 3D world based on Google Earth submissions, why not let people explore it with avatars? It also proves they have the technology to present a virtual world. Checkout. Ready made in-game commerce system. Advertising. The in-game advertising company they've possibly just purchased gives them an excellent way to monetise a virtual world without charging players for every creation they build or use. *Many* global servers. Google already has a global network of high powered servers, perfect for ensuring everyone in Googleworld has a high speed, low latency experience. By integrating things like YouTube, Froogle, and Picasaweb they can create virtual worlds that combine the best things from Second Life and MySpace. Second Life currently charges players for 'land', and to have and create 3D models for their characters. An advertising powered GoogleWorld would let users create and share 3D models for free, while monetising with in-game advertising and Checkout revenues. Whether this is pure wishful thinking or the future direction of online social sites remains to be seen, but Niniane's project has been in deep cover for over a year, maybe in 2007 we'll get to see what they've been busy working on! Apparently you were right but not all the way. 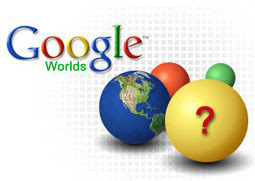 The first instance of Google Worlds, akin to first instance of Matrix, was killed after only 4 month lifetime. 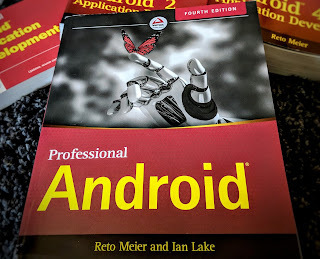 The next one would be better and more in tune with Google's pedigre - perhaps Google Android (with its OpenGL capabilities) is a first step towards the second incarnation of Google Worlds?